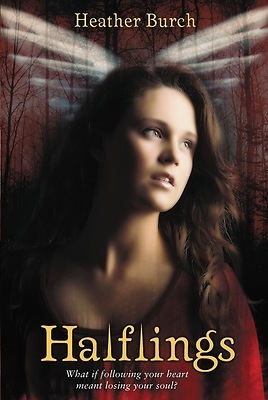 After being inexplicably targeted by an evil intent on harming her at any cost, seventeen-year-old Nikki finds herself under the watchful guardianship of three mysterious young men who call themselves halflings. Sworn to defend her, misfits Mace, Raven, and Vine battle to keep Nikki safe while hiding their deepest secret--and the wings that come with. A growing attraction between Nikki and two of her protectors presents a whole other danger. While she risks a broken heart, Mace and Raven could lose everything, including their souls. As the mysteries behind the boys' powers, as well as her role in their earthly mission, unfold, Nikki is faced with choices that will affect the future of an entire race of heavenly beings, as well as the precarious equilibrium of the earthly world.